Baruntse 35 days Expedition is a moderate trek. Travelers who can walk up to 6-7 hours a day on an uphill and downhill trail will find this trek fulfilling. It is best that we prepare ourselves for the Annapurna trek by jogging and exercising regularly at least a month prior to the start of the trek. Trekking to the Everest Base Camp should be relatively easier for those who have experience walking/trekking in a high altitude environment. Past hiking experience would be an asset but no technical skill is required for this trip. It is also important that we consult our doctor. Participants with pre-existing medical conditions such as heart, lung, and blood diseases should inform Discovery Mountai Trek before booking the trek. The best time to trek to the Baruntse Expedition is Spring (February to May) and Autumn (September to November). The temperature is moderate in these seasons and guarantees amazing views through the trip. Although this trek can be undertaken during winter, the cold temperature might not be suitable for everyone. On our expedition Mt. Baruntse with Mera Peak, we climb both mountains. However, our main goal is to climb Mt. Baruntse, and the Mera Peak Climb should assure us that we are well prepared for our ultimate climb. Baruntse is located between Lhotse and Makalu at the epicenter of three glacial valleys, including Barun, Imja and Hunku. The mountain was first climbed by Colin Todd and Geoff Harrow in 1954 by the Southeast Ridge. However, the steep slopes of 50 ° ice and a prominent ice cliff at about 7000m make the southeastern ridge of Mt. Baruntse a somewhat difficult climb. Therefore, we choose a more accessible and popular alternative via Southern Crest. This route also gives us the opportunity to acclimatize and climb the Mera (6476m). We do two camps high above Base Camp – Camp I just below the East Pass at an altitude of (5700m) and Camp II on the Southeast Ridge at a height of (6420m). The expedition mt. Baruntse with climbing Mera Peak also includes a few days hiking in the picturesque heart of the Khumbu region. 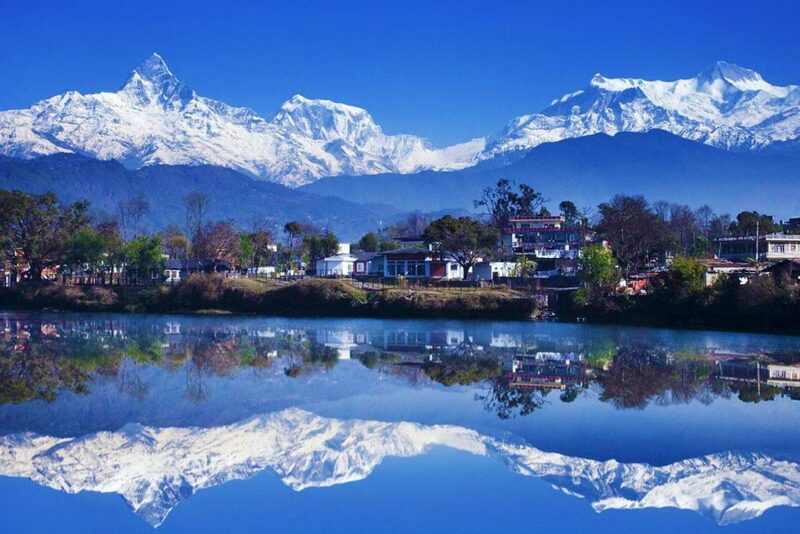 Throughout our trip, we are rewarded with exceptional views of the Himalayas. After landing at the Kathmandu airport, Discovery Mountain Trek will take you to the hotel Radisson. We then check-in at the hotel, freshen up and take a rest. In the evening you will have details briefing for your trek. Fantastic flight between Kathmandu and Lukha, and final preparation for your expedition and evening briefings for the entire trip and expedition. After breakfast we start our trek to Chutanga into the rhododendron, birch, pine tree. Day acclimatization and possibility of hiking around the village. We start to climb steep up around 3hours to the top zatra-la the altitude of 4610m from where the view offer Cho Oyu, Kutung Khang, Khumbi-la, Kongde Peak, Tengi Rigi Tau, Pachermo Peak. At the pass the prayer flags announce your entry into Sherpa community . You descend to the mountain pastures of Tuli Kharka (3490m). We start our trek to Kothe today, passing through the forest and enjoy the rhododendrons and wildlife present at this altitude. When we reach at Tshasing Dingma we join the trail come from lukla via Paiya then we following the Hinkhu Khola to Khote where you can observe historical Buddhist religious monuments. We trek along the ridge of the Hinku Khola in the shadow of Mera Peak. We take lunch at Gondishung, the summer herders’ settlement in the west bank of the Hinku Drangka. Beyond Gondishung, we pass a 200-year-old Lungsumgba Gompa where we can find Mera Peak scripted in rock along with its route to reach Mera. A short walk takes us to Thaknak, which is a summer grazing area with primitive lodges and shops. We follow the lateral moraine of Dig Glacier to Dig Kharka, which offers spectacular views of Charpate Himal. The trail climbs through moraines to the snout of the Hinku Nup and Shar glaciers, and then climbs more steeply to Khare. From here, we can see the northern face of Mera Peak which will be an amazing experience. After lunch we can hike in and around Khare. We have a separate day set aside solely for acclimatization and basic training just to prepare ourselves better for the Mera Peak climb. Our climbing leader will help us polish our basic climbing techniques and demonstrate the best ways to use our climbing gears like the ice axe, harness, ascender climbing boots and crampons. The training will also include learning the best climbing technique with the rope. We walk through a boulder-strewn course on a steep trail to reach the Mera Peak Base Camp. From here, we continue further through the Mera La pass to reach the Mera High Camp. Our path is along a rocky trail, which can be hazardous if it has recently snowed, as there are a number of crevasses here. We make our way to the top of the rock band, which is marked by a large cairn. Then we set up a high camp while enjoying excellent views of Mt. Everest, Makalu, Cho Oyu, the south face of Lhotse, Nuptse, Chamlang and Baruntse. This is a really important day for the expedition. We wake up around 2 in the morning for breakfast. It’s going to be very cold in the beginning but soon we warm up as we continue up the glacier and onto a peculiar ridge. The first rays of the sun hit the big peaks in an amazing red glow. The route is still non-technical as we slowly climb higher into the ever-thinning air. The slope steepens for a section behind the ridge and the summit comes back into view. At the foot of the final steep summit cone, we may use a fixed rope if the climbing leader believes it’s required. The summit is only a few meters away. 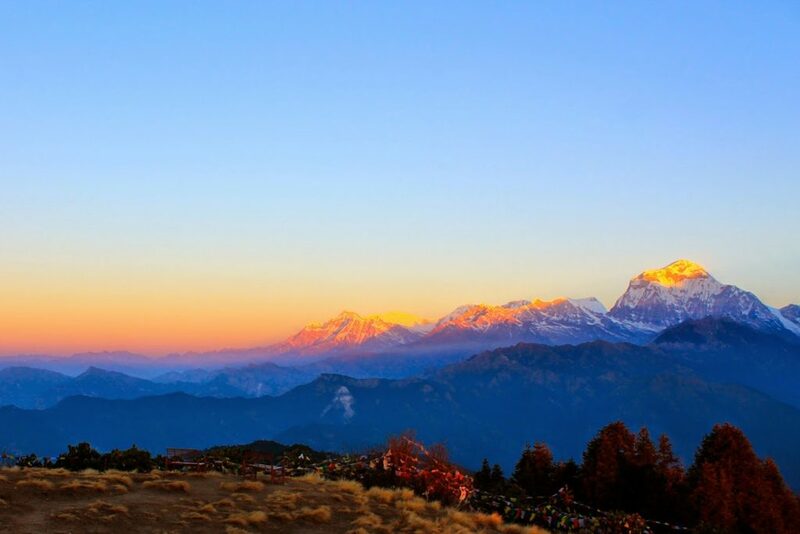 From the summit, we take in spectacular views of the mighty Himalayas including Mt. Everest (8848m), Cho-Oyu (8210m), Lhotse (8516m), Makalu (8463m), Kangchenjunga (8,586m), Nuptse (7855m), Chamlang (7319m), Baruntse (7129m) and others. Later, we retrace our steps back to the high camp where we rest for a while before descending to Kongma Dingma. We will continue to move ahead through the trails inside Hinku valley which offers views of Baruntse, Everest, Chamalang, Lhotse and peak 41 Mountains and Peaks. We will put our camp biside of the lake. The trail follows the desolate landscape with moraines. We can get the view of southern face of Baruntse and Amadablam Mountains. We will follow the jagged terrain to the base camp of Baruntse which is located nearby small lake that is created out of melting snow from glacier. The next 13 days make up most of your climb up to the summit of Mt. Baruntse. We will prepare two Camps before reaching the Baruntse summit. Baruntse Camp I will be located below southeastern ridge at 6000m altitude while we will place our Baruntse Camp II at 6400m elevation. We will fix cables below West/ East Col, Enjoy the full board service at tent accommodation at base camp and a 2nd camp at the edge of the Upper Barun Glacier. The steep 50 ° climb to the West Pass will be secured with ropes to provide a bee line to transport the equipment safely. As you get closer to the summit, climb a short abrupt wall of ice 75 ° to a small pass at an altitude of (6500m). The next section ascends through a 45 ° snow shoulder towards the wide summit cone, and on the summit itself. Breathe the views of the Himalayan mountains of Lhotse, Everest, Cho Oyu, Kangchenjunga, Makalu and almost all the mountain ranges in Khumbu. The trail contours through the desolate land with views of Everest and Lhotse Mountains. 6hrs of trek will take us to Amphu Labtsa Base Camp. Amphu Labsa Pass connects Hongu Valley with Imja Valley. We will stay overnight at Amphulabsa Base Camp. Passage of the famous and difficult Amphu Laptsa Pass Spectacular and impressive climb of this glacier terraces. Delicate descent of the cervix. The first 300m of the descent is very steep with a mandatory abseiling. Then descent towards the Lhotse Sharon glacier join the path then continue downhill to Chhukung. Today’s walk will be a much easier as we descend to the lower altitudes. Following the same route back through the wide valley of Khumbu Khola, we pass through the beautiful Sherpa villages, Dingboche, Shomare Pangboche and Tengoche. We continue through the hillside blanketed by rhododendron and juniper trees. After crossing the bridge over the Dudh Koshi River, our trail follows the Dudh Koshi gorge descending rapidly through the pine forests before reaching Sansa. We keep a lookout for wildlife such as mountain goats, snow leopards, colorful pheasants, etc. while passing through the forest. After passing a chorten, we reach the army camp at Namche Bazaar. The trail descends steeply downward so we need to walk cautiously as our shaky legs continuously battle the rocky terrain. After crossing the suspension bridges over the fast flowing Dudh Koshi and its tributaries, the trail becomes more level and natural. After our arrival in Lukla, we stretch those sore legs and recall the experiences of the last couple of weeks. We catch an early morning flight to Kathmandu after our long mountain journey. After reaching in Kathmandu transfer to hotel and in the evening you have welcome dinner to celebrate success of your Expedition. Today after breakfast we will start visit you to several of the most historical and spiritual attractions in Kathmandu which are also listed as UNESCO World Heritage sites. you visit the historic Durbar Square, the sacred Hindu temple of Pashupatinath, the famous ‘Monkey Temple’ (Swayambhunath) and Buddhist shrine (Bouddhanath), which is also one of the largest stupas in the world. Our adventure in Nepal ends today. Discovery Mountain Trek drop you at airport a few hours before the scheduled flight.